Parties, showers, teas, coffees...as a woman, our repertoire of social party going has an extensive list. I have been in the stage of life where friends are either getting married or having babies, so there have been quite a few showers attended, thrown and enjoyed in my 20's. 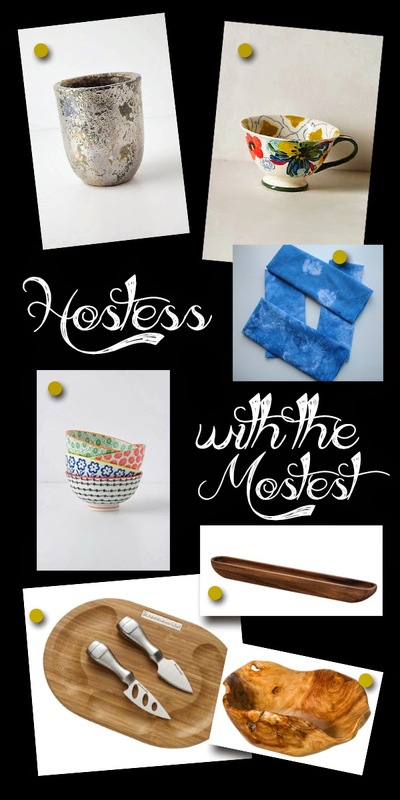 Some situations, like a dinner party or maybe a party given for you, require a hostess gift for those who have done all the work. Alison has curated an array of beautiful, fresh gifts. Gone are the days of the stuffy candles and starched dish towels that never get used. Let's give these ladies a little something awesome that they can use for their next party, like earthy serving pieces and artistry in small everyday forms like a mug.